• V001 - 14" x 6" with 1-1/2" drain. 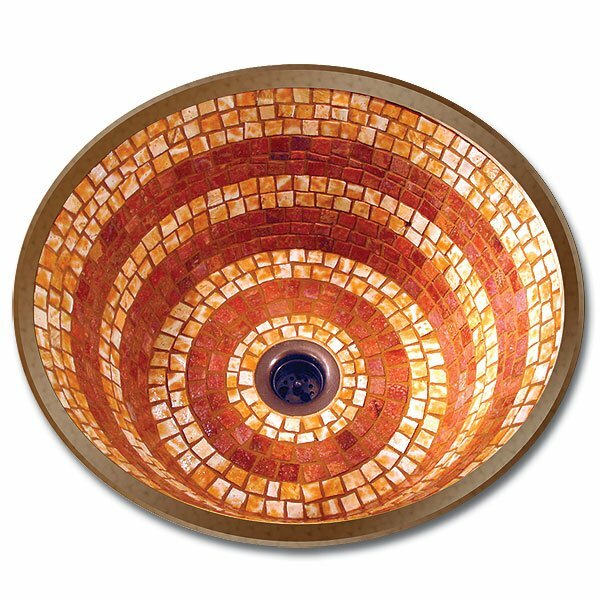 Each mosaic sink is individually made to order in the colors and design of your choice. This sink comes in 7 Patterns. We suggest that you call us to order this sink. Toll Free: 888-875-WAVE . 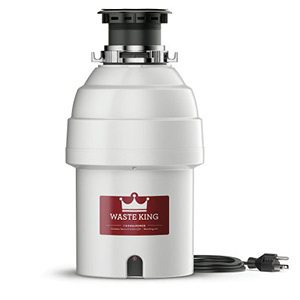 The round bowls can be installed as a undermount, vessel or drop in, please specify which installation you will be using. 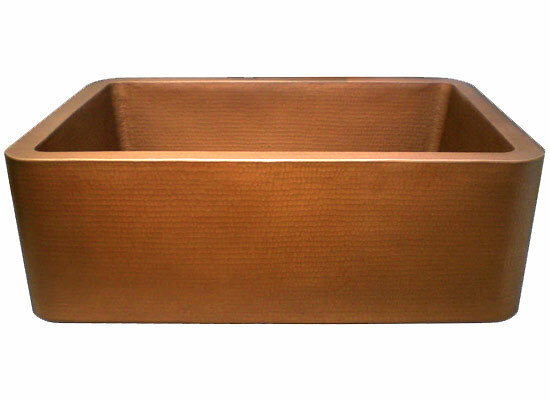 The exterior of the sink is copper. Mosaic sinks appear to be somewhat fragile, but they are actually extremely durable, and very easy to maintain. 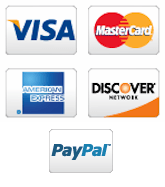 The tile colors must be specified when ordering. The drain is factory installed so a finish must be specified at placement of order. This sink requires very little maintenance. Any glass cleaner, such as Windex, works fine, but typically just a rinse with water is all that is required. Custom Building Products "Grout & Tile Cleaner" can be used if the grout starts to discolor and is gentle enough to use daily. It is available wherever tile products are sold. ANY abrasive such as Comet, will scratch the glass. Any acid or harsh chemicals, such as bleach or spray cleaners, will eventually harm the grout. Natural stone tiles are produced in nature, so their color and general appearance may vary greatly. These differences are what make mosaic stone tile sinks quite unique and beautiful.